Horizons for the Blind recently received a product grant from promotional company 4Imprint. 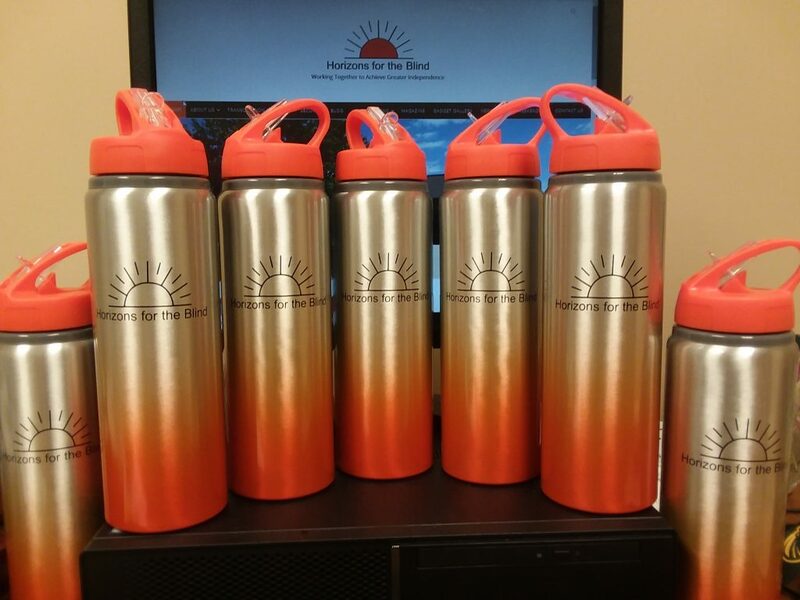 Horizons choose aluminum gradient water bottles complete with company colors and logo. All employees, volunteers and board members received a bottle at the annual Christmas party. Photo shows 7 bottles in front of a computer screen showing Horizons website. Bottles have an orange top with flip up straw. Bottles are silver at the top, a black Horizons for the Blind logo with the silver transitioning into orange.